Langford was originally the drummer for the punk band The Mekons when it formed at the University of Leeds in 1977, but he later took up the guitar as other band members left. Since the mid-1980s he has been one of the leaders in incorporating folk and country music into punk rock. He has released a number of solo recordings as well as recordings with other bands outside of The Mekons, most notably the Waco Brothers, which he co-founded after moving to Chicago in the early 1990s. He is involved with the Chicago-based >independent record label >Bloodshot. Langford is also a prolific and respected visual artist best known for his striking portraits of country music icons including Hank Williams, Johnny Cash, and Elvis Presley. His multimedia music/spoken-word/video performance, “The Executioner’s Last Songs,” premiered at Alverno College in 2005, and has been performed in several other cities. He illustrated the comic strip Great Pop Things under the pseudonym Chuck Death. Since 2005 he has co-hosted a weekly radio program, “The Eclectic Company,” broadcast on WXRT 93.1 FM in Chicago. He has contributed to This American Life. Among Langford’s musical side projects have been the Three Johns (with John Hyatt and John (Phillip) Brennan), who released several albums of drum-machine-fueled punk in the 1980s; the country-punk Waco Brothers (with Dean Schlabowske, Tracey Dear, Alan Doughty, Mark Durante, and Mekons drummer Steve Goulding), who have been recording since 1995; the Pine Valley Cosmonauts, a revolving assortment of Chicago musicians who have backed both Langford and other musicians such as Kelly Hogan; and Ship and Pilot. He became a father figure to the local music scene, encouraging many of his labelmates on Bloodshot Records and championing anyone he thought worthy of scrutiny, often lending his services as a musician or visual artist or inviting local musicians to guest on his releases. Langford’s first official solo album, Skull Orchard, a look back at his hometown of Newport, Wales, was released in 1998. He followed it with All the Fame of Lofty Deeds, in 2004, Gold Brick in 2006, and Old Devils in 2010. Langford is an accomplished artist and is renowned for his multi-layered paintings of famous and forgotten figures from the dawn of country music. 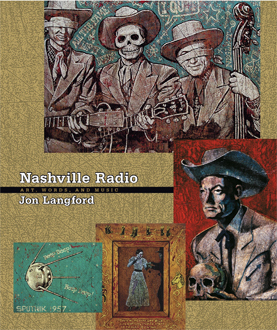 Nashville Radio, a collection of his artwork and writings, was published in 2006. In January and February 2009, Chicago’s Walkabout Theater Company and Collaboraction premiered a stage adaptation of Langford’s Goldbrick that featured a live band, two actors and video projections. In November and December 2009, The House Theatre of Chicago staged a production of “All the Fame of Lofty Deeds”, written by rock journalist Mark Guarino and based on Langford’s art and 2004 solo album. 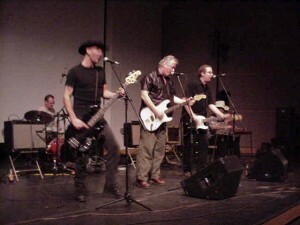 Langford initiated a project, the Pine Valley Cosmonauts, which performs the music of other country music groups. Several alternative country musicians have guested on these recordings. Langford has guested on numerous recordings, including with Dutch punk band the Ex, The Old 97s, Chip Taylor, as well as Austin, Texas legend Alejandro Escovedo, and has recorded joint albums with Sally Timms, Kevin Coyne, Richard Buckner, Kat Ex and Rosie Flores. JONNNNNNNNN Bloody hell. I booked a few tickets to see Deaf school at Leeds roscoe on sat 6th being my 50th Birthday and all that and sweet jehovah I discover you are opening the night for them. I hoped we’d meet again one day (missed you twice before with Johns and Mekons reunions)but never thought the fickle hand of fate would time it so well. Hoping to see you there. Hoping I’m not an unholy, discordant and distant memory. Hoping that like me you have good memories and a bright future. PS. I’m there with the wife and I told her we were BIG back in the day so play along eh? Sorry, she read that comment so just act natural. Hi Jon! My Name is THIES, I came from out of space! Hope to see you on november 7th in hamburg. 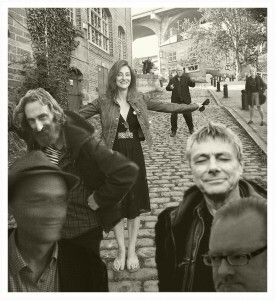 Do you / the mekons have time for a free photo-session? My studio is only 1 kilometer away from the fabrik and also walking around + taking photos would be fine. All the best from the rivers alster and elbe, yours thies.